A passport is very important documents for those who are working or residing in another country just like Overseas Filipino Workers (OFWs) including their children. 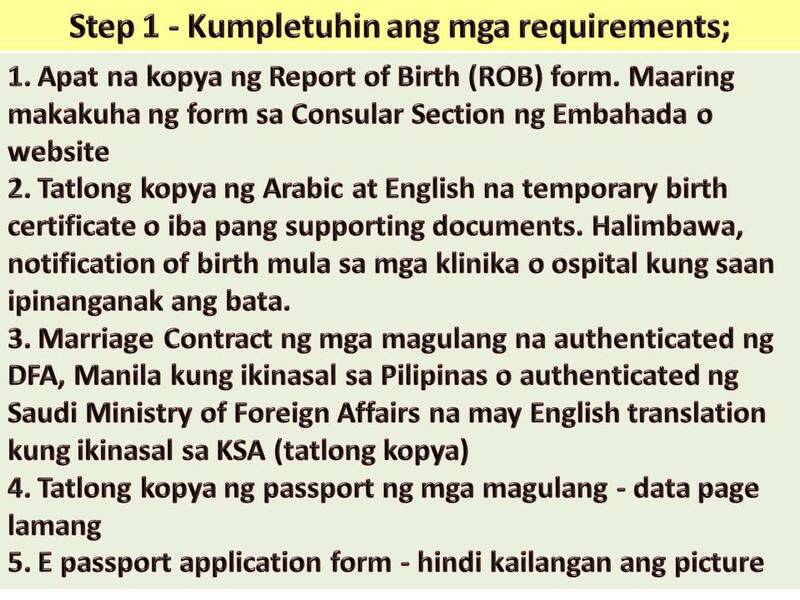 This is one legal document you or your family will be needed in case you want to decide to go back to the Philippines or travel anywhere in the world. 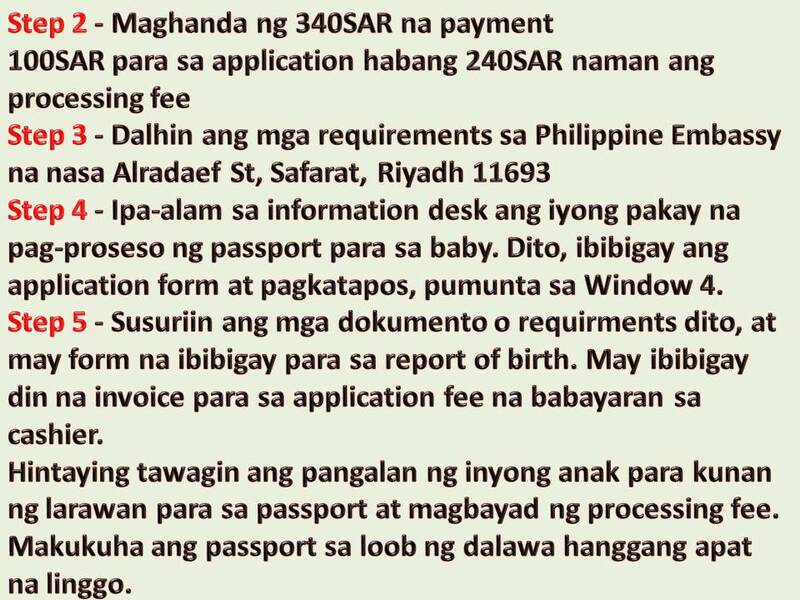 So if you are in Saudi Arabia, it is vital that you process your baby's passport, few months after he is born. 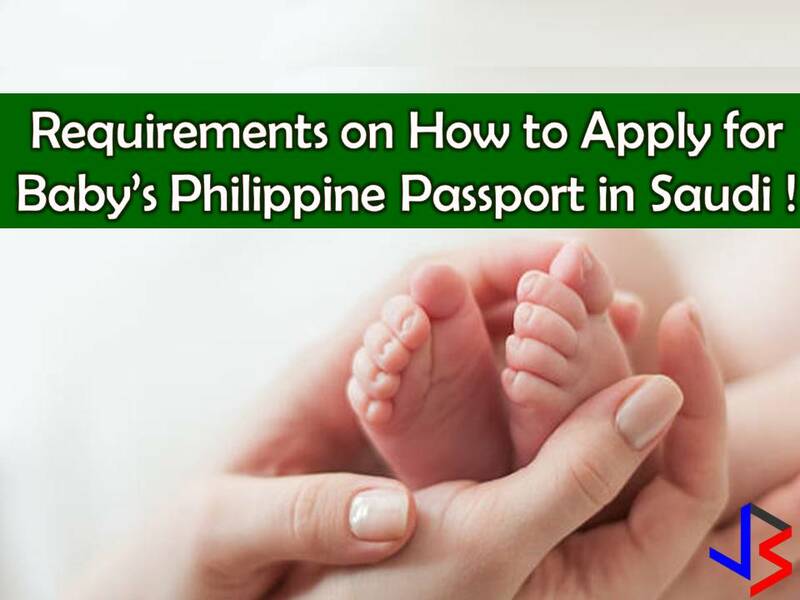 If you have a newborn baby, you don't need an appointment because it is clearly stated on the website of Philippine Embassy in Riyadh, Saudi Arabia that no appointment needed for newborn children up to one-year-old. 100SAR is for application and 240SAR is for the processing fee. Inside the Philippine Embassy. Inform the information desk that you are processing a passport for your newborn baby. Here, the application form will be provided and they will instruct you to proceed to Window 4. At Window 4, your documents will be verified or checked. You will be given another form to fill up for a report of birth (ROB) and an invoice to pay for application fee at the cashier. After this, wait for your baby's name to be called for taking a passport photo. Paying a processing fee will end passport application process for your baby. It takes few weeks before your baby's passport will be released. You can check the status with this link.